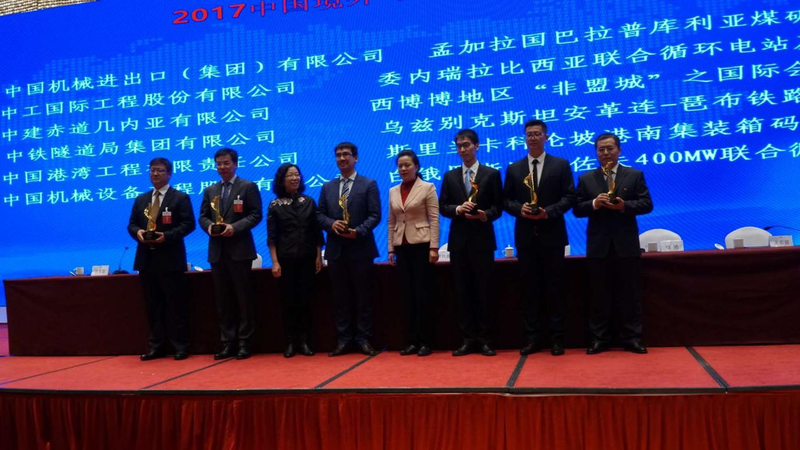 At the 3rd plenary meeting of China International Contractors Association (CHINCA) on December 1, 2017, CHINCA presented the “China International Sustainable Infrastructure Award” (CISIA) to the winners. 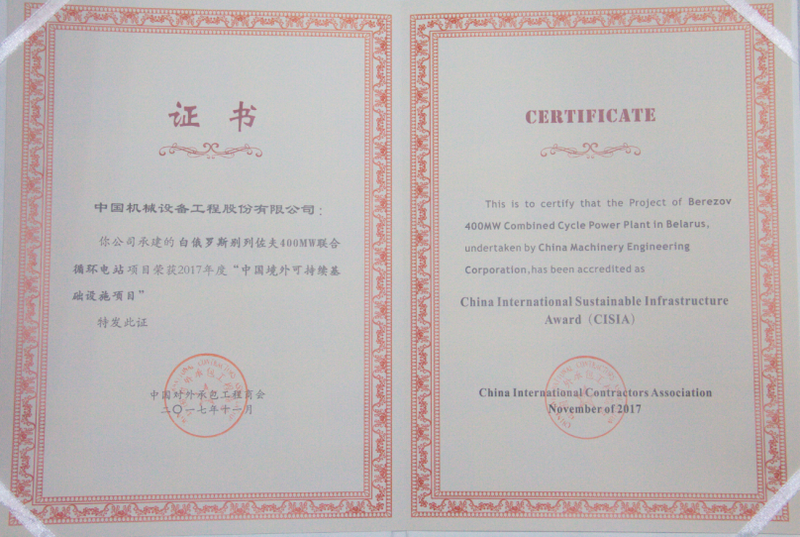 China Machinery Engineering Corporation (CMEC), won the award for its Berezov 400MW Combined Cycle Power Plant in Belarus, showing that the company actively assumed its social responsibilities and responsibilities for sustainable development overseas. Initiated by CHINCA in August 2017, the assessment of the award aims to guide enterprises of the industry to observe the principle on sustainable infrastructure construction and promote the application of the Guidelines for China International Sustainable Infrastructure. Through the technical assessment of Dagong Global Credit Rating Group as well as reviews of CHINCA Industrial Credit System Committee and external experts, a total of 18 projects were accredited as winners of the CISIA award.